After taking a backseat in 2013, legislation to cut off funding to so-called sanctuary cities that don't use local police to enforce federal immigration laws is under debate before a Senate subcommittee. Editor's note: This story has been updated to reflect further testimony. Tragic stories of lives lost shared billing Monday with concerns about racial profiling and damage to the state’s economy when a Texas Senate subcommittee heard testimony on so-called sanctuary cities legislation. 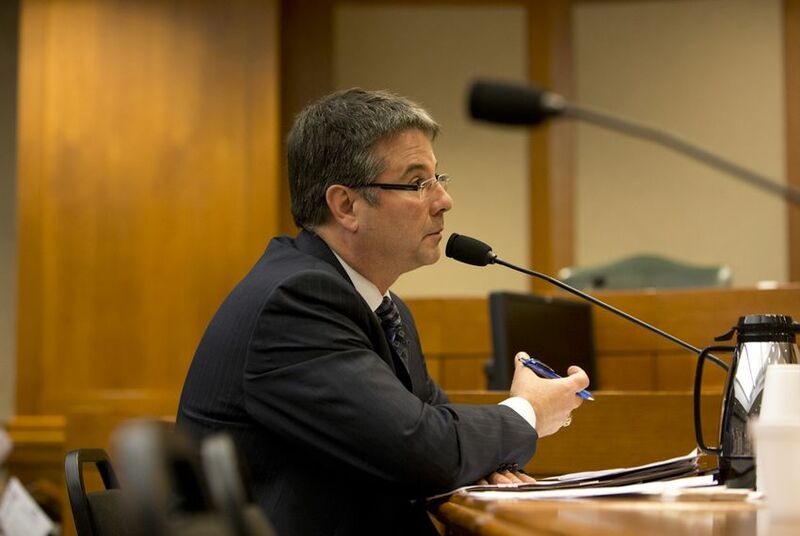 Senate Bill 185, by state Sen. Charles Perry, R-Lubbock, places back in the spotlight 2011’s controversial proposal that seeks to stop municipalities or other local governments from adopting policies that forbid local peace officers from enforcing federal immigration laws. “This is not an anti-immigration bill — it’s a rule-of-law bill,” Perry said to members of the Veteran Affairs and Military Installations Subcommittee on Border Security. The legislation would cut off state funding for governments that adopt the policies. Under the proposal, an officer would be able to ask the immigration status of any person arrested or detained. After hearing testimony until late evening, the subcommittee left Perry’s bill pending for further discussion. As the matter moves to the full committee and the full chamber, the debate will likely continue to focus, in part, on which cities will be affected the greatest if the legislation passes. That’s due to the difficulty in defining exactly what a “sanctuary city” is. But he pointed to the Bexar County Democratic Party’s recent newsletter stating that San Antonio is not a sanctuary city. There is no House companion bill to Perry's Senate effort. Opponents of the measure, including Senate Democrats, immediately asked Perry if the bill’s broad language would open the door to racial profiling. Those concerns come despite language in SB 185 that specifically prohibits an officer from using race or ethnicity as a factor when he or she detains someone for a possible crime. Perry said the legislation would require that a peace officer have a reason to question someone. While he conceded that racial profiling exists, he said safety takes precedence. “We can’t let that be a paralyzing agent to move forward on the bigger picture. And that’s public safety,” he said. Like they did four years ago, opponents said the policy would cripple what they call “community policing” — where witnesses to crimes who are key to solving those cases won’t come forward for fear they will be harassed, arrested or even deported. Wiles added that allowing his deputies to have broad control over immigration enforcement when they are more strictly regulated on other policing duties could erode the command structure of his department. But some law officers want the policy change, and argue it will help keep would-be fugitives from fleeing the country. Chambers County Sheriff Brian Hawthorne said a Mexican national who is wanted in connection with an alleged double-homicide is now on the run in Mexico. The person had been in and out of trouble in Harris County several times and currently faces a capital murder charge. His testimony was followed by Laura Wilkerson, who said she was representing herself and her son Joshua Wilkerson. He was murdered by an undocumented man from Belize when he was 18. The man who was arrested and convicted of the murder was in court six months before the homicide on a harassment charge. Had SB 185 been in place, she said, her son would still be alive. State Sen. Eddie Lucio Jr., D-Brownsville, stressed the bill's potential impact on the state’s economy. He cited a 2006 report by the state comptroller’s office that estimated deporting the state’s undocumented population in 2005 would have meant about $17.7 billion in lost gross domestic product in 2006. He added that if the measure passed, it would be an affront to Mexico, Texas’ leading trade partner, which could add to a decline in commerce between the two. Concerns were also raised about whether the bill could be considered unconstitutional because immigration enforcement usually falls under the purview of the federal government. But Perry said the U.S. Supreme Court ruled on that matter in 2012. That year the high court struck down three provisions of Arizona’s controversial SB 1070. But it upheld a part of the bill that requires police officers to verify the legal status of people they stop or arrest.